Justine Smith is an internationally recognised ophthalmologist (eye surgeon) and vision scientist. She is a Matthew Flinders Distinguished Professor and Research Strategic Professor of Eye & Vision Health at Flinders University, and a Future Fellow of the Australian Research Council. She is also a Fellow of the Australian Academy of Health & Medical Sciences. Justine is an expert on uveitis (inflammation inside the eye) and is playing lead roles in science and technology research and clinical trials aimed at bringing biologic drugs to the clinic, to reduce vision loss from uveitis. Recent work from Justine's laboratory is addressing the molecular mechanisms of infectious forms of uveitis, including viral infections, such as Ebola and Zika. She was a member of the team that reported post-Ebola uveitis was associated with persistence of live virus inside the eye, in an article that made headlines across the globe. 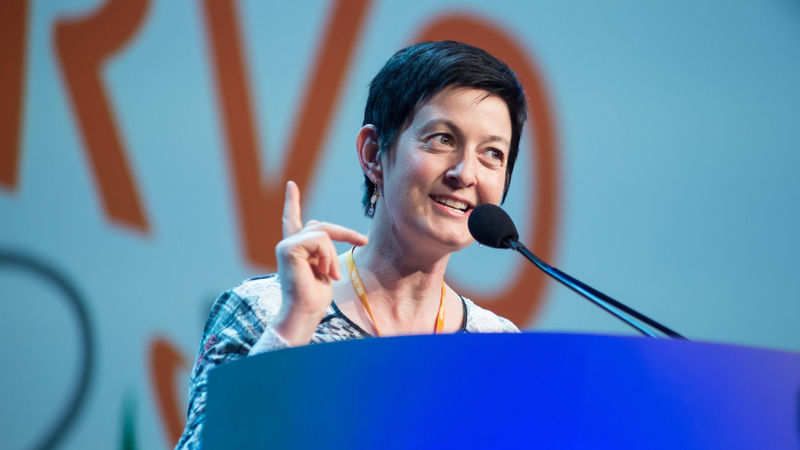 Justine has advocated strongly for biomedical research as President of the Association for Research in Vision and Ophthalmology, which is the largest global society for eye and vision research, with an 80-year history and 12,500 members in 75 countries. She was recently President of the American Uveitis Society, unusually based outside the United States, and she has leadership roles in the International Council of Ophthalmology and the International Ocular Inflammation Society. Justine is Co-Chair of the Flinders University Steering Committee for SAGE Athena SWAN.